Landscaping Ideas Taylor | Sod Solutions | A & R Lawn Care Inc. Enhance the aesthetics of your exterior spaces. Turn your landscaping ideas into reality by choosing A & R Lawn Care Inc. in Taylor, MI. We are also the company to call for efficient lawn care and sod solutions. 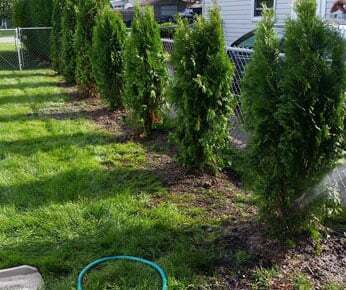 From shrub trimming to new turf installation, our team will provide you quality services that will improve the curb appeal of your property and increase its value. Call now or complete the online form for your requests. We will get back to you as soon as possible. Do you have questions about our lawn care, landscaping, cleanup, and snow removal services? Get in touch with us. Contact us directly or fill out the online form with your requests, suggestions, or comments. Our friendly staff will be more than happy to assist you with any of your concerns. A & R Lawn Care Inc.